Archangel Metatron connects to deliver an informative and high energy free DNA Activation . In this channeled angel message, Metatron helps you raise your frequency and tap into the ancient knowledge that is stored within your cellular memory and within your DNA. Love and light are the activation energies and your willingness to connect with these energies is all you need. With your focus on personal growth and development and your willingness to ask your angels for assistance proves that you are on your ascension path! I'm honored to be of service to you and to offer this amazing recorded message which is accompanied by the beautiful music of Thaddeus…. If you would prefer to read this angel message with Archangel Metatron it has also been transcribed for you below. Greetings, beloved. Indeed, I am here. I am Archangel Metatron. I invite you now, beloved being of light, to tune in to this, your true and authentic luminescent nature. Focus inward. And beginning at your root chakra, allow this energy center to fill with light, grounding you in your life with the energy of unconditional love. By strengthening this lower chakra, this energy center at your base, you can expect to experience more energy, health and opening to your psychic abilities, manifestation powers, and experience of soul communication. I draw your attention now to your heart chakra. Allow yourself to continue to focus within and allow your heart to open. Through this, your heart chakra, you are now able to connect with my full frequency, which is present. Allow this energy to enter in, absorb it into your physical, emotional, auric light bodies to raise your frequency. vibration, vibrating at a light, lighter and higher frequency. You can more easily and more accurately hear, know and experience the true guidance and messages of your soul, your higher self, your guides, angels and universal teachers. By simply relaxing, focusing within, finding your center, grounding your energy with love, feeling your connection to the earth, and opening your heart, allowing light to fill you, you are ready to live in alignment with your soul’s desires and wishes. Yes, indeed, it is no longer the time for mind over matter. But rather, you are now being asked to experience soul power over matter. Open your spiritual communication channels, opening your heart, your third eye, your crown to tune in to the wise frequency and messages, guidance of your higher self, your soul. As you open to this, which you are beginning to now, by opening your heart and tuning in to the frequency present here in this transmission, you are increasing your vibration. But it is important for you to also do this on your own, to meditate, to quiet your mind, and to open your heart to the love, the guidance and the incredible blessing of energy from your soul, your higher self who knows the highest and best possible path for you in this life that will bring fulfillment, that will be in line with universal service. Service is the path to growth and the path to increasing your soul standing, your light. It is time for you to fully open your heart and to allow yourself to experience your divinity, your soul, your true spiritual nature in this now moment. Love fills you now, but there is more than that. There is a special gift being sent to you now. Because you have been brave and opened your heart, your higher self is able to send you feeling, frequency, light, color, sound. Embrace this, as it is an upgrade, activating that within you which has been still and asleep. You have so much DNA available to you. The process of opening your heart and raising your vibration, indeed, activates that which is dormant. 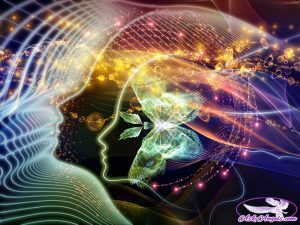 Allowing your senses to open, allowing you to clearly translate the love of the spiritual realm, of your higher self, your soul, into guidance that is meaningful for you. By opening your channels of communication with the Divine and with your higher self by regularly practicing and strengthening this connection, through opening your heart and allowing the light to enter in, you are serving your earth, your universe and all of humanity. This is a fundamental component of your growth, of your ascension, opening the channels of communication through your soul, your authentic higher self, the spiritual and divine you, and allowing this wise inner knowing, this soul connection to guide your life. No longer is it necessary to spend weeks thinking about what action to take or what to do. Open your heart, connect with your soul, and clearly know your direction. Practice will make you more accurate. Practice will help you to clearly hear. But know that you do have this ability, and you are immensely supported in fully opening it now by opening your heart and by connecting to that which is love, which is your authentic nature, your higher self, your soul. And through this connection, allowing all of the love and joy and abundance of the spiritual realms into your current life journey, your soul journey, may your path be clearly illuminated before you. Open your heart to know and to increase this clarity. Beloved, you are so deeply loved. I am Archangel Metatron, and I leave you now with my blessing. Very informative, extremely grateful.Thank you.